We offer a variety of courses to suit the needs and busy schedules of our students. These vary from shorter, focused courses, to all day events, and can cover a broad spectrum of gun-handling and safety instruction, as well as live-fire and tactical training. 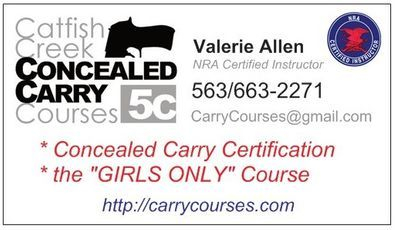 These classes are led by Kelly or Valerie Allen, certified NRA Certified Instructors, and NRA Range Safety Officers. Our "SAFELY CONCEALED" 2-hour courses are tailored to the student who can only spare a couple hours, but still wishes to meet the requirements for an Iowa or Wisconsin concealed carry permit. 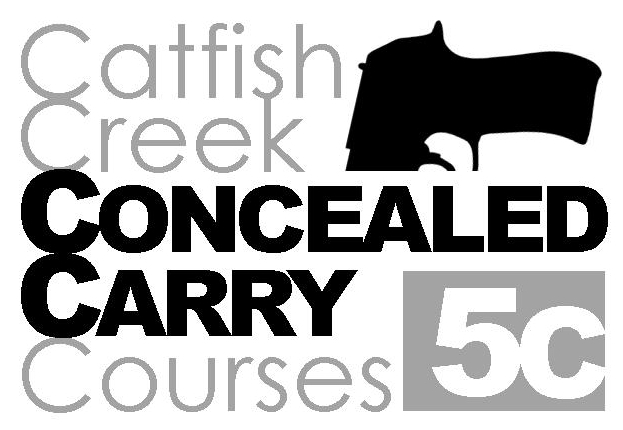 This class focuses on those safe gun-handling practices directly applicable to daily carry situations, and includes important defensive pistol concepts and legal discussion which all permit holders should consider before they strap-on a firearm. 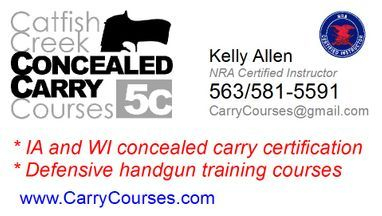 Upon successful completion of this course you will receive a certificate you can take to the Sheriff when you apply for your carry permit, since our courses meet the requirements of IA & WI Law. 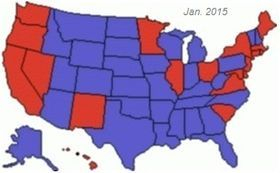 Your valid IA Weapons Permit will give you reciprocity with the BLUE states shown below. Call or email to schedule your class. - 20rds, 10 minutes, $20. either method provides you with a certification you can take to your Sheriff for renewal. An "active Shooter" is someone who actively opens-fire on innocents, be it for extremist political reasons, or for inviting 'death by cop' upon themselves. They kill people at random. The solution suggested to law enforcement after trying many other options is lately proven most-effective: to SHOOT the shooter before he kills more people. 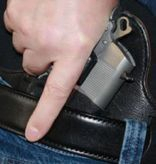 - ideas for "taking the shot"
Our "NEXT STEPS defensive handgun course" is geared for those who already have their carry permit and are familiar with safe gun-handling but want to discover some more advanced tactics to be better prepared should trouble arise. The class time includes dry-fire drills and gun-handling to prepare you for live-fire at the range. On the range we'll carry 'hot', practicing safe concealment while we engage targets with live ammunition and work tactical concepts into muscle-memory. Using a combination of stationary and moving targets, you'll learn to identify & assess threats. You'll practice drawing from concealment and engaging targets, making use of protective cover, and making every shot count. This is a 4-hour course and we limit the class size to encourage plenty of one-on-one instruction and lots of trigger-time. Cost is just $60 per student. The "NRA Basic Pistol course" is an eight hour Saturday class which centers around hands-on training in the safe operation and understanding of handguns of all types. This course follows NRA designed curriculum which lays a solid foundation of the knowledge, skills, and attitude necessary to help the novice become familiar and comfortable on the range and to begin enjoying handgun sports. This course includes live-fire target training at a outdoor range. $120 per student, check our calendar for this event. Call to discuss any details about courses you have interest in, or to schedule or reserve class time. The shooting portion of our courses (when applicable) are typically conducted at an outdoor range, so dress accordingly. Bring your own handgun, ammunition, and safety gear, or borrow ours if needed (we have extras). Our classroom for the concealed carry course is in my home, find directions above.